The Beijing winter is cold, but it is also beautiful. Close your eyes and try to picture the snow-covered roofs of the Forbidden City; or a light frost blanketing the rustic grounds of the Temple of Heaven, or people braving the winds for a bowl of steaming hot soybean milk before heading off to work amid a steady stream of taxis and bicycles. Lì li: Tiān qì yuè lái yuè lěng le. Wŏ yào qù măi jĭ jiàn guò dōng de yī fu. Lili: It is getting cold. I'm going to buy some winter clothes. Mài kè: Wŏ hé nĭ yì qĭ qù ba. Wŏ zhèng xiăng măi yí jiàn yǔ róng fú ne. Mike: I'll go with you. I was just thinking of buying a down-padded anorak. Lì li: Wŏ yào măi de dōng xi kě bù shăo ne: dà yī, máo yī, wéi jīn, shŏu tào děng děng. Lili: I have quite a lot of things to buy: a coat, wool sweater, scarf and gloves. Mài kè: Xiàn zài zăo wăn wēn chā hěn dà, rén men hěn róng yì găn mào. Mike: Temperature differences between day and night are big now. It's easy to catch a cold. Lì li: Shì de, wŏ men yào zhù yì băo nuăn, hái yào zēng jiā hù wài huó dòng. Lili: Yes, which is why we should wrap up warm. At the same time, we should do more outdoor activities. Mài kè: Běi jīng de dōng tiān jīng cháng xià xuě ba? Mike: It often snows in winter in Beijing, doesn't it? Lì li: Shì de. Dě xià xuě zhī hòu wŏ men yì qĭ qù huá xuě liū bīng ba. Lili: Yes, it does. We should go skiing and ice-skating together when it snows. Mài ke: Hăo de, bú guò wŏ hěn pà lěng. Xiàn zài wū zi lĭ tài lěng le. Mike: OK, but I am quite afraid of the cold. Even in the room now, it is too cold. Li li: Guò jĭ tiān chéng lĭ jiù tŏng yī gōng nuăn le, dào shí wū zi lĭ huì hěn nuăn huo. Lili: The city's central heating will be turned on in a few days. Things will be much warmer then. Mai ke: Tài hăo le. Duì le, nĭ men zài dōng jì xĭ huan chī shén me? Mike: That's good to know! By the way, what kind of food do you like to eat in the winter? Li li: Wŏ men xĭ huan chī shuàn huŏ guō, kě yĭ qū hán băo nuăn. Lili: We like the meat and vegetable hotpot. It really helps us to keep warm. Mai ke: Tīng shàng qù bú cuò, wŏ yí dìng yào pĭn cháng yí xià. Mike: That sounds delicious. I must taste it. To blindly imitate someone or something, often with ridiculous or negative consequences. Mĕi féng jiā jié bèi sī qīn. 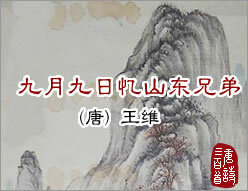 Biàn chā zhū yú shăo yì rén.